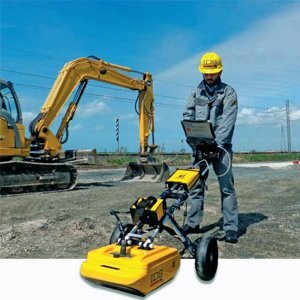 The ACL2CRX Crossliner laser is new generation laser level for the construction & engineering industry. 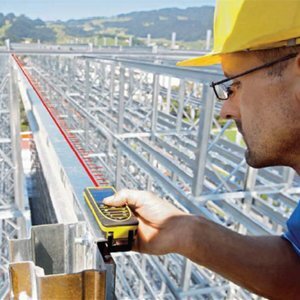 The instrument is ideal for level & plumb, layout and positioning applications and with a high accuracy of 2mm. 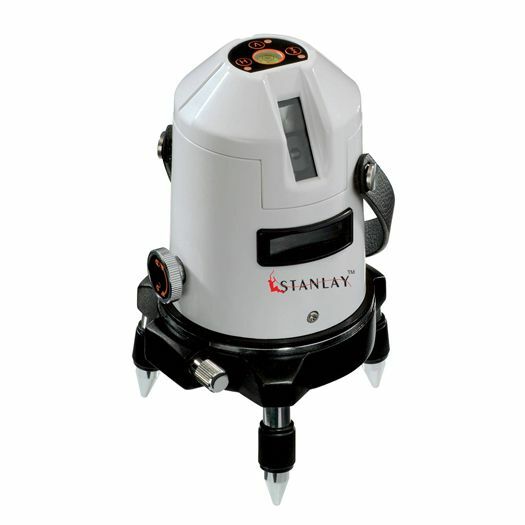 The ACL2CRX Crossliner is based on a 2 Beam laser that provide automatically leveled vertical & horizontal lines, by virtue of magnetically pendulum system, which can be operated independently or simultaneously for layout, marking & transfer of levels & plumb in both indoor & outdoor building construction including interiors, foundation leveling and equally applicable to the engineering sector for metal fabrication. 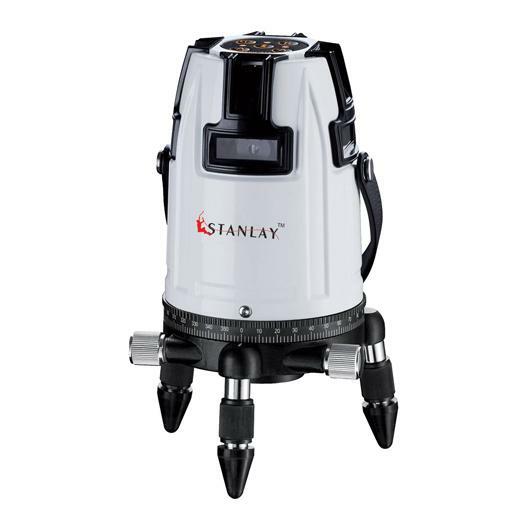 The instruments incorporate a number of features which allow efficient usage on day to day basis including a pivoted housing with its own tripod feet that allows the instrument to be used by placing directly on the ground, or the instrument can be mounted on a standard 5/8'' x 11 i.e. 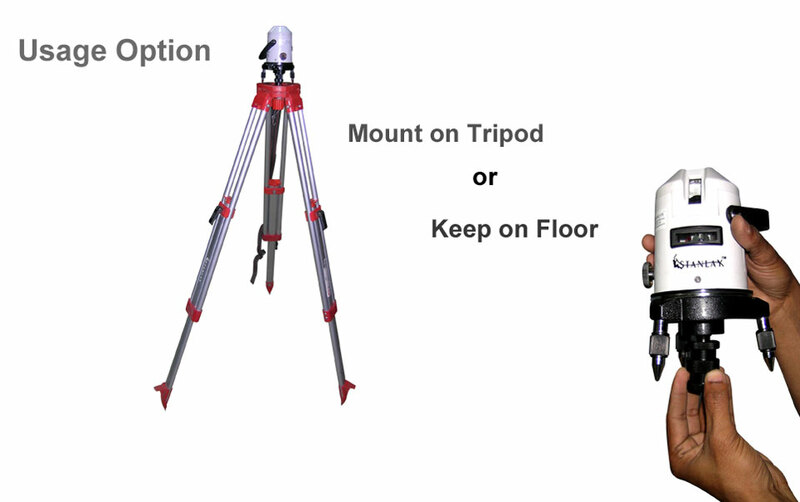 a survey grade tripod. Self leveling. 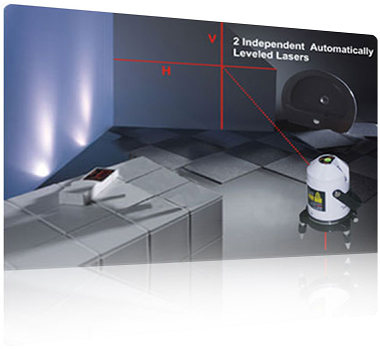 Automatic alignment through pendulum system, with ±3° self-leveling range, magnetically damped. 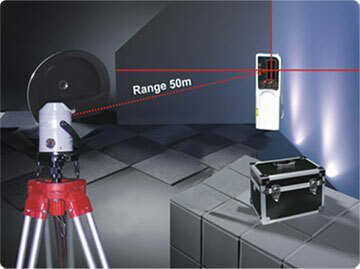 Accuracy 2 mm / 10m : High level accuracy for any precision construction, manufacturing or precision engineering job. 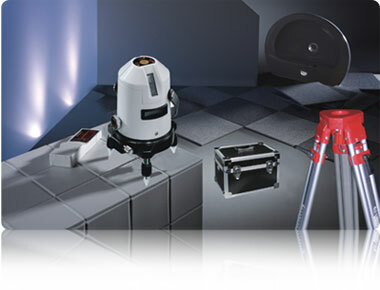 The adjustable feet allows the device to be utilised by keeping on the floor, positioned on flat or even sloping surfaces. 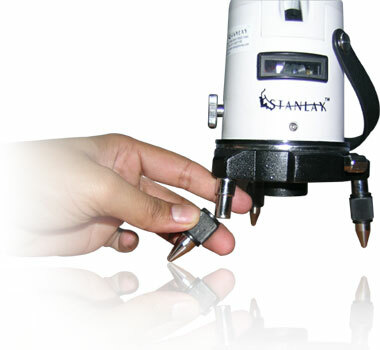 The plumb laser at bottom is used to fix or mark a point on the surface. 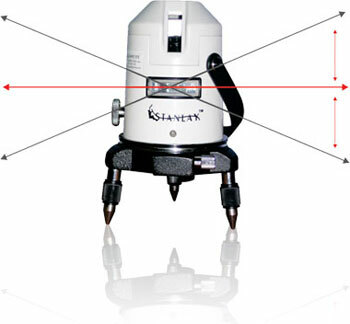 Alternatively, The device can be mounted on a standard light weight aluminum tripod (5/8x11") using the tripod adaptor provided with the instrument. damped. 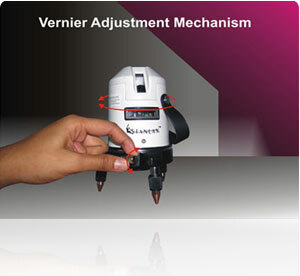 The autocross laser has a Vernier adjustment knob at the bottom for precise positioning of the lasers. 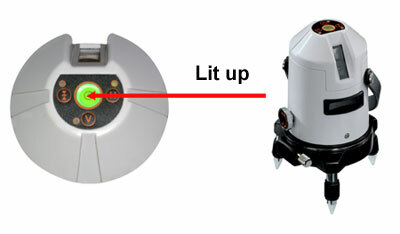 The autocross laser has a Vernier lasers will automatically shut off . 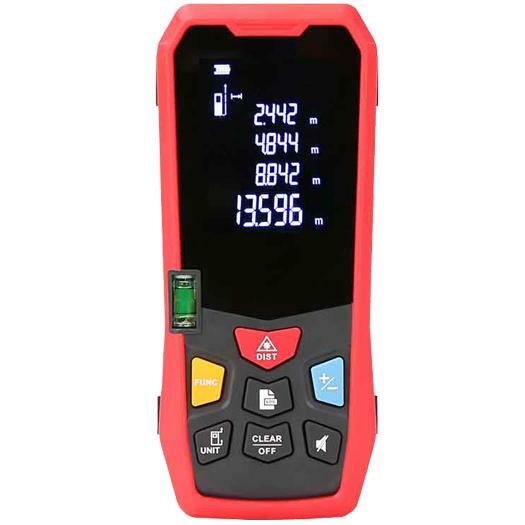 The Autocross ACL2CRX laser has an integrated hand receiver mode and the laser lines are detected with the laser receiver RX50 upto a max. 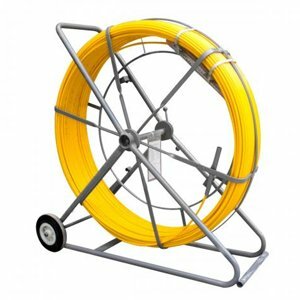 of 50m radius. 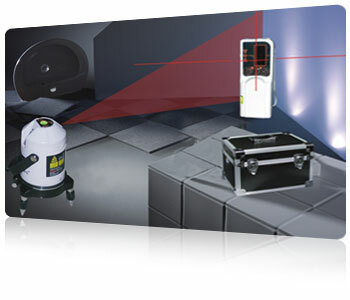 The laser receiver has a LED's for indicating whether the laser is above or below the level (in reference to the broadcasted laser beam) ensuring positioning with accuracy. 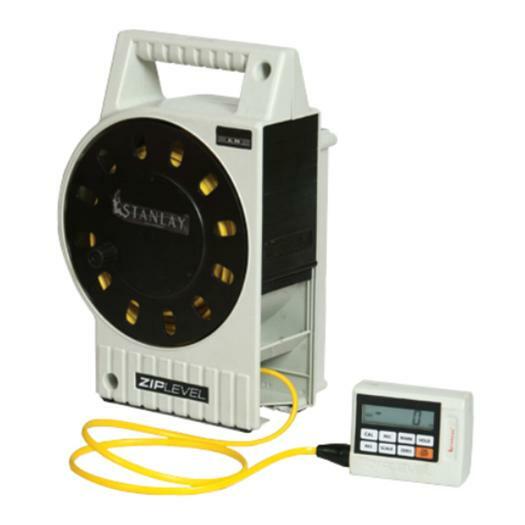 On / Off Switch with locking mechanism protects the pendulum from damage during transport. 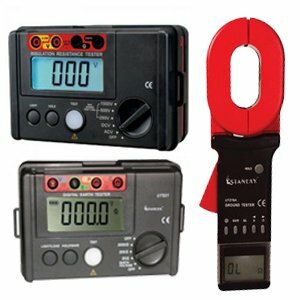 The instrument must always be switched off (& in lock position) while in transport to protect the pendulum mechanism from being damaged and to ensure continuous precision of the instrument. 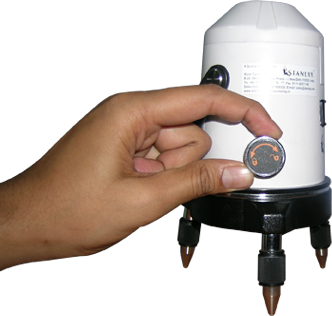 The round vial at the top of the device is provided as an aid to alignment. 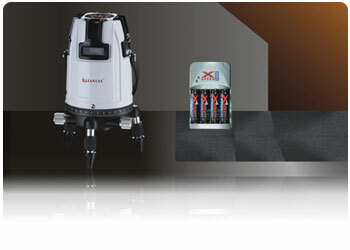 Rechargeable batteries Provided with rechargeable batteries & battery charger.